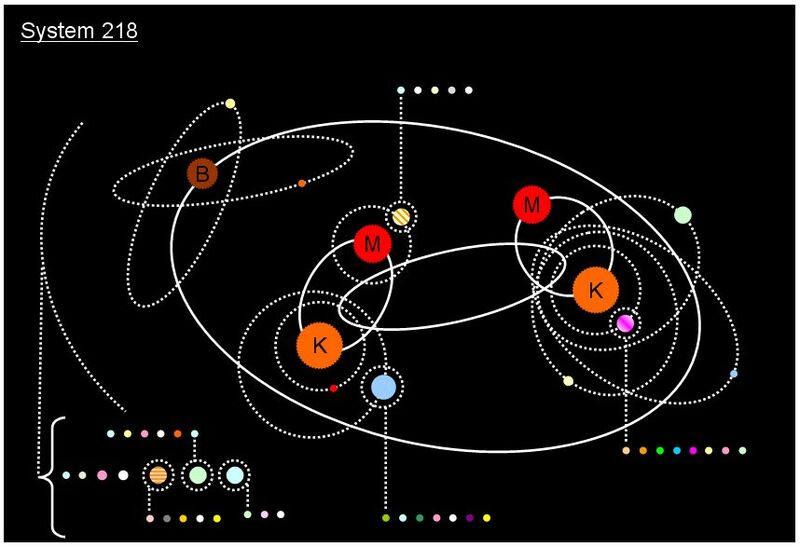 fascinating are two gas giants (one a supergiant) and their satellites, each of which orbits one of the K-dwarfs in the habitable zone! their atmospheres and so are also of potential interest. Explore the two K-dwarf sub-systems.